Digital printing is everywhere today. That includes the textile and fashion markets. EFITM has a complete ecosystem of solutions for these markets to improve productivity, quality, and optimise the textile process. 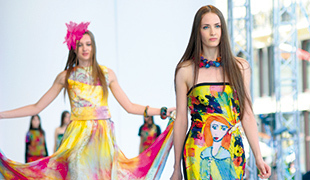 Revolutionise the way you develop, produce and market fashion with EFI Optitex software. Combine Fiery® DesignPro for efficient textile design and file preparation with the Fiery digital front ends for professional colour management and high-quality RIP output on EFI Reggiani digital printers. Plus reduce energy and water consumption as well as environmental impact with EFI Reggiani products backed by over 70 years of experience in fabric treatment, printing and finishing. Design, visualize, and perfect in a single 2D/3D environments with 2D CAD and 3D digital prototyping for true-to-life sample development. Perfect your garments before cutting or sewing the first piece of fabric, for faster cycles and products that better fit your customer's needs. Instantly share, view and collaborate with teams and vendors around the globe to speed up your product and design cycle. Learn more about the EFI Optitex portfolio to produce and market your designs. 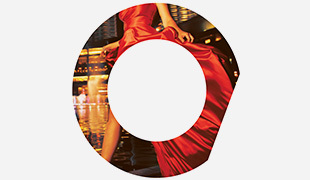 Fiery DesignPro is where fashion and technology meet. 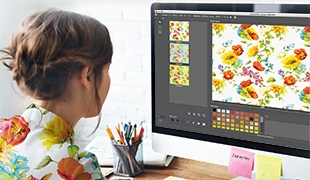 These suites of powerful and easy to learn Adobe® plug-ins for fashion and textile designers deliver a comprehensive design workflow. Fiery DesignPro improves design speed and accuracy, lets designers experiment more effectively, and communicates colour consistently from design to production. Increase customer satisfaction and get an edge on the competition with the “Made in Italy” stamp of quality and creativity that Reggiani Macchine traditional and digital printers provide for fashion, home textiles, and sportswear. Our rotary printers are the most energy-saving classic machines on the market, while flatbed printers are capable of meeting panel printing of any size. And digital inkjet printers include the ultimate technological advancements and high productivity you need in modern industrial printing. With the Mezzera line of products, you’ll get a variety of wet finishing treatments including pre-treatment, after printing, and dyeing lines. 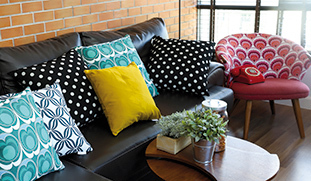 Whether you have knitted or woven fabric, Mezzera offers the perfect solution. Furthermore you can get the best and most uniform yarn results with the Jaeggli line products. Improve the brilliance, strength, dimensional stability, and dyeing affinity of the yarns with top quality products for the fashion industry and traditional textiles. The machines are innovative, fast, quality, and competitive.